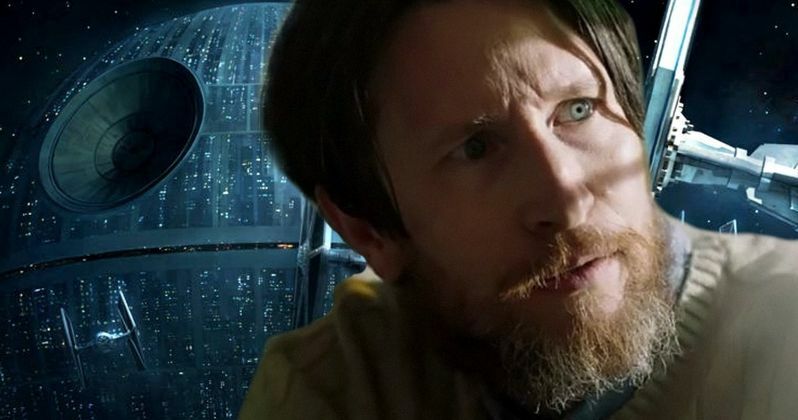 With production set to begin very soon on Disney and LucasFilm's Star Wars Anthology: Rogue One, the BBC reports that Sherlock actor Jonathan Aris has joined the cast. The actor's Spotlight profile, a website where actors and filmmakers can post their resumes, revealed that he is playing "Senator Jebel" in Star Wars Anthology: Rogue One. That listing was later removed from his page, so it's unclear if this is the confirmed character or not. If, in fact, the actor has signed on for the Star Wars anthology movie, he will join a cast that includes Felicity Jones, Riz Ahmed, Sam Claflin, Diego Luna, Ben Mendelsohn and Forest Whitaker. The story centers on a group of Rebel Alliance soldiers who embark on a mission to steal plans for the original Death Star. The plot is set between the events of Star Wars: Episode III - Revenge of the Sith and Star Wars: Episode IV - A New Hope. The Disney XD TV series Star Wars Rebels is set during the same time period, but it isn't known if the show and this movie will overlap. Producer Kathleen Kennedy revealed during the Hall H panel at Comic-Con earlier this month, that Star Wars Anthology: Rogue One begins production in three weeks at Pinewood Studios in London. That announcement was just over two weeks ago, so hopefully we'll hear about filming getting under way later this week. Disney and LucasFilm have already set a December 16, 2016 release date for Star Wars Anthology: Rogue One. Gareth Edwards (Godzilla) is directing from a script originally written by Gary Whitta (The Book of Eli), with Chris Weitz (Cinderella) providing a rewrite. LucasFilm recently confirmed that the second Star Wars Anthology movie will center on how a young Han Solo became the smuggler, thief, and scoundrel whom Luke Skywalker and Obi-Wan Kenobi first encountered in the cantina at Mos Eisley. Lawrence Kasdan and Jon Kasdan are writing the screenplay, with the studio setting a May 25, 2018 release date. Jonathan Aris is best known for playing Dr. Anderson on BBC's hit series Sherlock. He currently stars in AMC's Humans, and his big screen roles include The World's End and Sightseers. The actor will next be seen in The Martian alongside Matt Damon and the Jesse Owens biopic Race with Stephan James, Jason Sudeikis and Jeremy Irons.